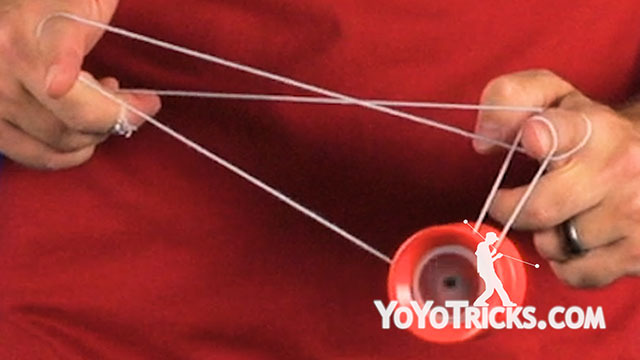 Learn the yoyo trick Under or Nothing. 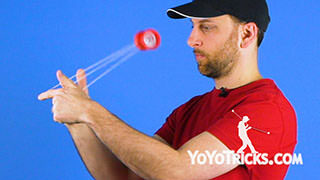 Under or Nothing Yoyo TrickThis trick is called Under or Nothing, and it looks like this. As you can see, Under or Nothing looks very similar to a trick you have probably already learned called Double or Nothing. There are two main difference. The first is in how you dismount. 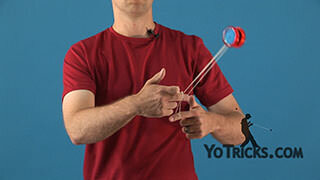 In Double or Nothing you roll the yoyo to the inside of your opposite hand to get it back to a Trapeze. 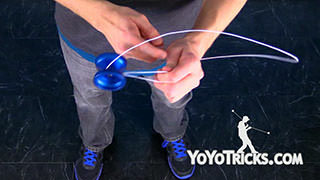 In Under or Nothing, you are going to roll the yoyo in the opposite way to the outside of your opposite hand. The second thing is the way the mounts are constructed. 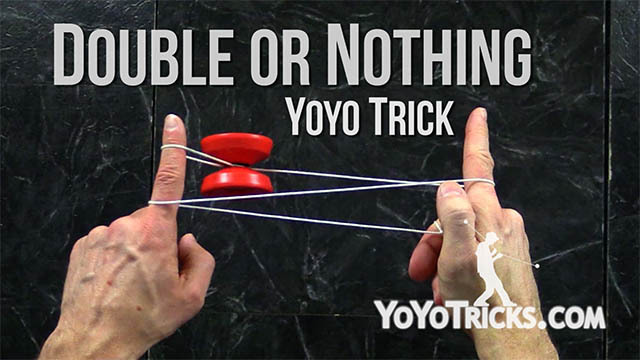 In a Double or Nothing if you look at the middle segment of string it is going over the top of both of your index fingers. 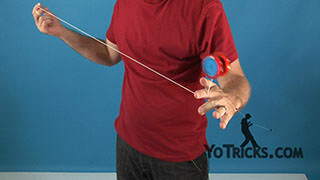 In an Under or Nothing you will see that the same middle segment of string is coming under the first finger on your opposite hand and then over the first finger on your yoyo hand. 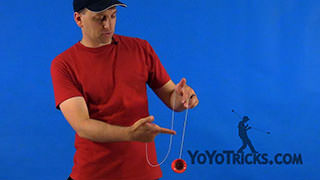 The easiest way to get into your Under or Nothing, if we wanted to compare it to Double or Nothing, with Double or nothing – as you know – you are going to set your fingers here, and the yoyo is going to go around both fingers, and then on the second pass, or on the double, it is going to land on the outside string. 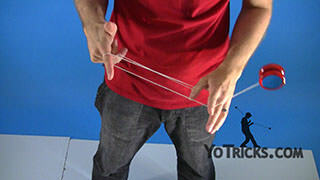 With an Under or Nothing, what you are going to do is pass by each of the fingers on your hands, so that you do an undercut, then an undercut, and then you land it on the outside string. 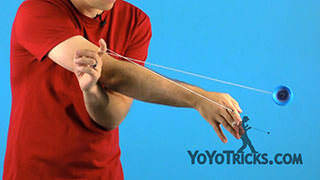 When you are thinking about how that works, you are going to stick your finger out but instead of running right into it you are going to go past it, and then your finger is going to land underneath the string and pick it up. Same thing with your yoyo hand, you are going to lift up the string with the first finger on your yoyo hand and then just like in Double or Nothing you are going to swing it around your finger and land it on the string before you do the dismount. 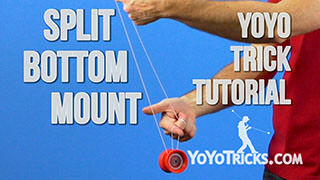 When you do the trick at full speed you are going to want to swing the yoyo from side to side instead of just lifting up the strings; that is how you get that nice motion. 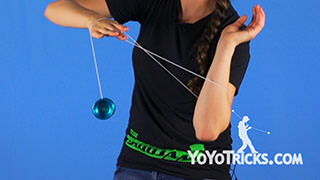 When you do the dismount, one thing that you want to be aware of is that you do need to swing the yoyo around both of your hands. 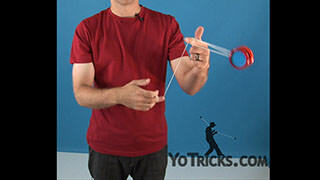 If you only swing the yoyo around your opposite hand the string is going to be bound up around the yoyo and you are going to run into this kind of issue right here. 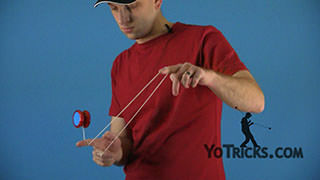 If you want the yoyo to break free you just need to bring your hands together and then swing around. 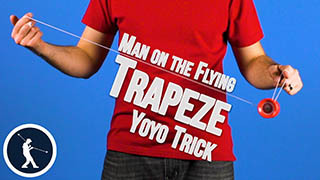 The second way to get into an Under or Nothing is to start with a Man on the Flying Trapeze and His Brother, in this case you are going to use the variation where you pop it right off your finger and then get your finger under the string and then mount it. 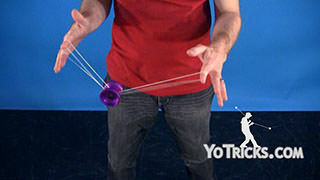 To get into the Under or Nothing you are just going to hook the string as you dismount, land it on the outside string, and then you are in the same mount, and you can dismount in the same way. 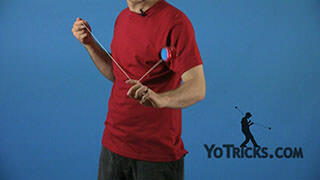 The reason Under or Nothing is a good mount to learn is because when you start making up your own tricks you will probably find yourself getting into an Under or Nothing Mount in the midst of all the variations that you are working on. In fact, in a lot of the tricks that we have taught, Under or Nothing is built right in the middle. In tricks like Candy Rain you will find it there. 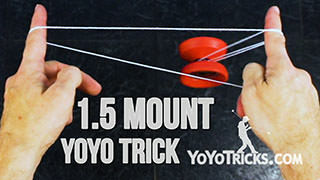 Also, in places you might not expect it like in the trick Yuuki Slack, again right in the middle you will find yourself in a mount that is very similar. 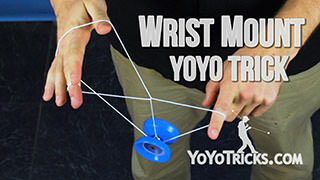 In this case you can see the mount goes around your wrist and my hand is turned in, but fundamentally this is exactly the same mount, this is an Under or Nothing Mount. Once you learn Under or Nothing and have built up variations around it you can then apply those variations to these tricks as well as you are developing your own moves. Another place where this mount shows up is in the trick Slack Trapeze. 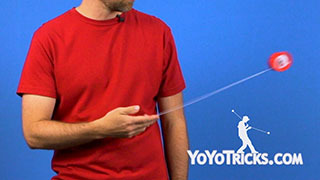 You can see right here if you open up this back string with your first finger this is an Under or Nothing mount, which is why the two tricks dismount in exactly the same way. 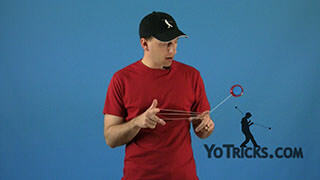 That is the trick Under or Nothing.